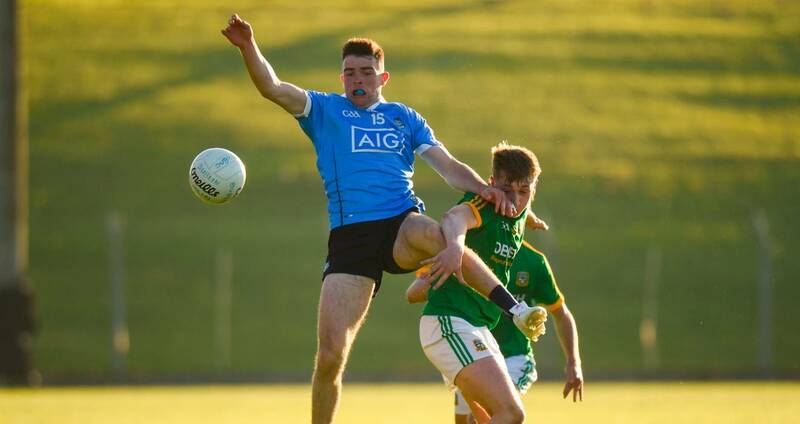 A dominant scoring spell either side of half-time saw an impressive Meath side defeat the Dubs in Wednesday night’s Electric Ireland Leinster MFC Group 1 clash at Páirc Tailteann, Navan. Luke Swan’s first goal in the ninth minute have given Dublin a 1-2 to 0-1 lead but it was the hosts that finished the half on the up with points from Luke Mitchell and Luke Kelly before Bryan McCormack struck for an injury-time goal to give Meath a 1-7 to 1-4 advantage. On the resumption Meath maintained their upperhand with points from Luke Kelly, David Bell and a Luke Mitchell free to move 1-9 to 1-4 clear. However, a Conor Murray point broke Meath’s chain of scores and when Luke Swan grabbed his second goal with 16 minutes remaining Dublin were right back in contention, 1-11 to 2-5. Points from Enda Cashman and Malachy Codd cut the deficit to two point, 1-12 to 2-7, with two minutes of normal time remaining but a Matthew Costello point steadied Meath. Dublin's Mark Lavin completed the scoring with his second pointed free of the night. Two counties from the group advance to the semi-finals. SCORERS– Meath: L Mitchell 0-6 (0-4f), B McCormack 1-1, M Costello (0-1f), D Bell (0-1f), L Kelly 0-2 each. Dublin: L Swan 2-0, M Lavin 0-2 (0-2f), L Dunne, C Murray, E Cashman, C Hennessy, S Foran, M Codd 0-1 each. MEATH: S Brennan; J O’Hare, H O’Higgins, C Hickey; C Farrelly, C Harford, S Coffey; A Reilly, C McBride; M Costello, L Kelly, C Hawdon; D Bell, L Mitchell, B McCormack. Subs: D Swaine for Hawdon (22),B O’Hanlon for Bell (47), D Morgan for McCormack (52), J Moore for Kelly (58), O McCloskey for O’Hare (59). DUBLIN: S Murphy; J Bannon, A Fearon, A Rafter; R Dwyer, L Dunne, M Lavin; E Adamson, M O’Leary; C Murray, E Cashman, C Hennessy; M Dunne, L Swan, S Foran. Subs: C McManus for L Dunne (37), M Grogan for M Dunne (39), S Guiden for Murray (46), C O’Brien for Fearon (48), M Codd for Adamson (51). Tonight’s Leinster MFC: Offaly 1-12 Westmeath 1-9; Meath 1-13 Dublin 2-8; Louth 6-9 Wicklow 5-12; Wexford 2-3 Laois 0-11; Carlow 0-2 Kildare 1-13. 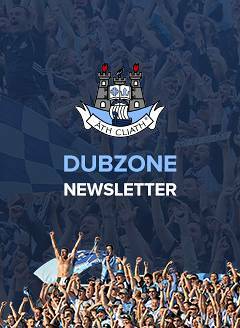 Dublin’s Leinster MFC schedule is - Round 1: Dublin 3-15 Louth 1-7 (Monday, May 7); Round 2: Meath 1-13 Dublin 2-8 (Wednesday, May 23); Round 3: Offaly v Dublin (Wednesday, May 30); Round 4: Dublin v Wicklow (Wednesday, June 27); Round 5: Westmeath v Dublin (Tuesday, July 3).